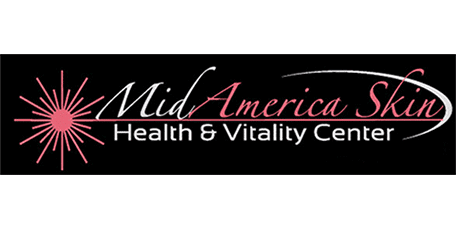 For patients throughout Chesterfield and the St. Louis area, Dr. Muccini, offers numerous cosmetic treatments at MidAmerica Skin Health & Vitality Center. For neck tightening to reduce the appearance of “turkey neck”, or “double chin”, the practice offers neck contouring. What is Neck Contouring with the Precision TxTM Laser? Precision TxTM treatments, otherwise known as “turkey neck” or “double chin” reduction or neck contouring, are employed to help with neck tightening and to break down fat. The treatment employs laser energy to heat tissue, melt fat, and tighten collagen without harming the area. The treatment can create a toned appearance in the neck. It stimulates collagen production, helps improve skin tone, and increases elasticity to promote neck tightening with minimal recovery time. Because the process stimulates ongoing collagen remodeling, additional improvement in the treated sites often continues for 3-6 months after treatment. What Conditions can Precision TxTM Contouring Address? Treatment sessions usually last approximately 60 minutes, depending on the severity of the condition. How Does Precision TxTM Contouring Work? During the procedure, laser energy is focused on the skin and subcutaneous fat through a fiberoptic wand inserted through small holes in the skin and into the neck. The dermal layers of the skin are then heated, while the epidermis is left unaffected. The heat is taken in by water molecules causing them to vibrate. This heating can melt fat as well as disrupt collagen fibers as the body identifies the heat as a type of injury. In response, the body orders more collagen to be produced and the fibers contract to provide tightening results. The laser is directional so the treatment can target fat, skin, or both. The procedure produces a warm sensation. Throughout the treatment, Dr. Muccini will monitor internal temperatures with an infrared device as well as temperature probes on the laser handpiece. As the procedure continues, patients will feel the warm sensation move over the area being treated.